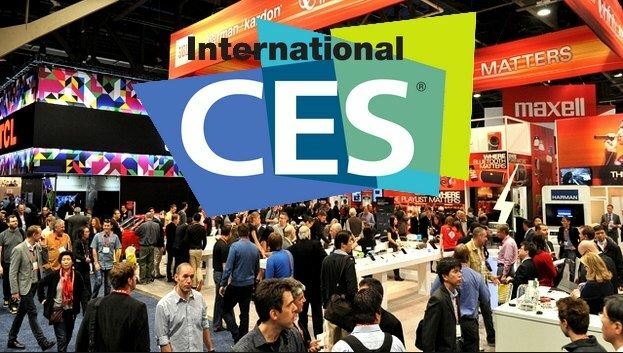 It’s that time of year again for the biggest consumer show in the world – CES (The Consumer Electronics Show). It’s crack for us digital heads. This year CES celebrates 50 years of exhibiting gadgets and inventions. In 1980 it stretched over 10 football fields with 1400 vendors and 50 years later it has tripled in size. Tech and gadgets have become such a big part of our lives that even Las Vegas can barely host this event. This year will not disappoint. You can expect to see a lot of drones, wearables, augmented reality, virtual reality, robots, smart cars, health gadgets, 3D printers, and Internet of Things objects. If you still need to register, click here. Enjoy the show and we’ll recap some hot topics after the show. The first CES opened its doors in the summer of 1967 in New York City. Featuring 117 exhibitors showcasing technology like transistor radios, stereos and black and white televisions, CES 1967 kicked off a 50 year legacy of innovation. While the world was enthralled with bell-bottom pants and “The Brady Bunch,” CES moved into the 70s showing off the latest technology of the decade. TVs, turntables and stereos filled the show floor as CES grew. One of the most beloved technologies of the 70s and 80s launched right here at CES in 1970. The VCR transformed the way we consumed video content and it all started at CES. Big Hair, Shoulder Pads and Big Tech in the 1980s. Car stereos, cordless phones, VCR tech and early models of computers filled the CES show floor in the 1980s. Check out the exhibitors showing off the latest and greatest – you may see some familiar names! 2000 – CES 2016 Breaks Records. CES 2016 wrapped as the most expansive CES, breaking records across the board. They hosted more than 3,800 exhibitors across more than 2.47 million net square feet of exhibit space. The technology at the show touched every major global industry and showcased the latest wave of products and technologies. This year approximately 170,000 people will be in attendance. Here are some videos to guide you through. The allure of retro has been brewing over the past few years, but now it has actually hit the production lines. Consumers will soon be able to shoot super 8, listen to music on turn tables and play pinball like it’s 1974. In 2014 Polaroid launched the $299 “Socialmatic” camera that connects to the Internet via Wi-Fi or piggybacks on your mobile phone connection over Bluetooth. Polaroid’s camera runs Android, and it can instantly post photos to Instagram, Facebook, Twitter, Pinterest or any other social network that has an Android App on the Google Play Store. If you saw the products announced at Sony’s CES media conference, you could be forgiven for thinking you were stepping back in time. It remains to be seen whether the vinyl revival is a long-term trend or a blip, but manufacturers are keeping busy exploiting the demand for turntables; UK music retailer HMV sold one every minute during the Christmas sales period. Retro Video Game Systems (RVGS) is collaborating with Coleco to launch a modern cartridge-based console in early 2016. In doing so, the company is bringing back an ancient and familiar name in the video gaming industry. DietSensor tells you what’s really in your food – Wins the CES Innovation Award. As the innovative tech rolls out of CES this week, I’d like to point out some of the unique and passionate gadgets that could actually change your life. Enter the DietSensor from innovator, co-founder and CEO, Remy Bonnasse. His product has received the 2016 CES Innovation Award at the Consumer Electronics Show in Las Vegas this week. For those of you who count your carbs and calories, DietSensor is looking to make your life easier. The French-based startup has created a tool that scans your food and determines its nutritional value. If you are diabetic this could make your life just a little bit easier. The thought is that you can go out to eat at a restaurant or anytime your out of the house, and still keep monitor and track your meals. There is a compatible app that keeps track of and displays the nutritional content. DietSensor has worked with doctors and nutritionists to create customized diets. Here’s how they say it works: The handheld scanner sends an infrared beam on the surface of the food or beverage. It then captures the reflected wavelengths that carry the signature of its composition. The DietSensor app will then interpret the data and create a meal profile that provides you with the nutritional facts, along with some general tips about how many calories, carbs, or proteins you should eat for the meal. Wow! While the idea is interesting, it’s not totally perfect. The scanner can only read foods those with a single level such as chicken, crackers, bread, cheese, and cereal. It was unable to determine the nutrition of a candy bar. While the DietSensor app lets you manually input nutritional data in these situations, that’s no different than apps like MyFitnessPal and Lose It. So there is some work to be done, or some deals to be made. DietSensor works with a small molecular scanner known as the SCiO. It can collects and displays user-friendly nutritional information on a wide range of food. The SCiO device, which is developed by Israeli company Consumer Physics, claims to be able read the chemical makeup of materials. It’s non-intrusive and doesn’t need to touch the object. You simply point and scan. The DietSensor will launch in September this year, but will not be cheap. The small SCiO scanner will set you back $249, while the DietSensor app will include a monthly subscription of between $10 to $20. The total cost over a year would be just under $500. While this may be high for the average consumer, someone who has to watch their weight because of medical problems would find this invaluable. And if used with the instruction of a nutritionist, adherence to weight management may be a realistic goal for patients. The show is produced by the Consumer Technology Association, formerly the Consumer Electronics Association, which recently changed its name to reflect the evolution of new technologies and inclusion of non-hardware companies like Uber, Lyft, and Yelp. Emerging tech trends will be present in the 20,000 new products expected to appear at next year’s show, which will take place January 6 through 9. The 2016 exhibit space will consist of more than 3,600 exhibitors and measure 2.3 million square feet, as reported at the 2016 CES Unveiled preview event in New York. James Park, CEO and co-founder of Fitbit, will deliver the keynote address at the Leaders in Technology (LIT) Dinner at the upcoming CES® 2016. 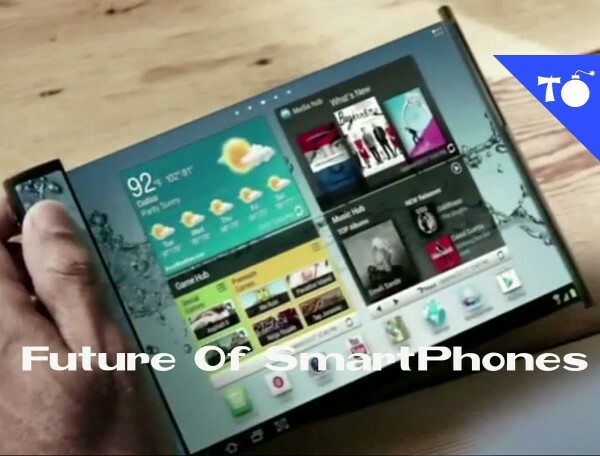 Owned and produced by the Consumer Technology Association (CTA)™, formerly the Consumer Electronics Association (CEA)®, CES is the world’s gathering place for all who thrive on the business of consumer technologies and will run January 6-9, 2016 in Las Vegas, Nevada. With hundreds of exhibitors bringing thousands of gadgets to every corner of Las Vegas (and we mean, all every corner), it’s important to know when to really pay attention. Get psyched and get registered!